Stories help us make sense of ourselves and the world around us. Share your story. We also regularly get out on the speaking circuit to tell our story. THIS WEEK we told our story to a room full of AMAZING female leaders, politicians and business women at the City of Greater Geelong WOMEN IN EVERYDAY LEADERSHIP event. The stories shared that filled the room afterwards were incredible. Women of Geelong and the Startup Runway precinct are doing VERY BIG things. Thank you to the City of Greater Geelong, Lord Mayor Bruce Harwood, Geelong City Councillors, business women of Geelong and amazing members of the public for having us - we’ll be back to GET LOUD when our @girledworld W🌏W Summit lands in Geelong MAY 2019! Watch this space for deets! Don’t forget to be part of the girledworld storytelling project this month. If you’re a teenage girl (aged 13-18) please share your story for the #youarenotyourface project here. The Women in Community Life Advisory Committee to the City of Greater Geelong invites you to ‘Women in Everyday Leadership’ – lunchtime conversation. Jacinta Masters, Gender Equity Victoria – peak body for gender equity, women’s health and the prevention of violence against women. https://www.genvic.org.au. Madeleine Grummet, girledworld – skill-building the next generation of entrepreneurs, innovators and stem leaders with interactive events, real-world and virtual career mentoring for girls. http://www.girledworld.com. Panelists: Women in Local Democracy (WiLD), Hayley Boehm (Sports) and the City of Greater Geelong Councillors. Record your own aspirations in our Story Pod booth, enjoy inspirational company, great food and commit to strengthening the unique contribution women make to the Greater Geelong Community. girledworld welcome Melissa Spurgin to the team! We’re excited to welcome the very awesome wordsmith Melissa Spurgin of Purge Words to the growing girledworld team! We thought there was no-one better than Melissa to introduce herself! “My name is Melissa Spurgin and I'm a professional writer, storyteller and grammar enthusiast with more than 10 years’ experience in copywriting, editing and content creation. Fortunate enough to have spent most of my career in environments that nurture great creative with a conscience, I am passionate about working with organisations that align to my personal values. I believe in the power of storytelling to connect with people and contribute to the world around me, and can offer any organisation a personable, original and professional service that achieves great results. I'm passionate about purging sentences of clutter, jargon, redundant phrases — while still having fun in the process. For more on Melissa’s ace work see Purge Words. Melissa will be working with girledworld across strategic communications, research publication (Global Role Models University of Melbourne White Paper 2018) and associated content production. There was nothing special about our first interaction. We had been placed in the same history class; I was assigned the desk directly beside his, and for months, he was all I could see. History, a subject I had previously detested for its dullness, was now my favourite class. I found myself sneaking glances at him curiously and I began to notice a pattern of endearing habits; he flicked his hair back when he stretched and the corners of his eyes would crinkle when he laughed. This boy had become a dangerous distraction. Eventually, my youthful naivety waned and I realised that he, too, was showing an interest in me. And on the 29th of June 2015, he became my first ever boyfriend. We dated on and off throughout high school, and even in our ‘off’ stages, I loved him to my core. He was my everything; my best friend, my confidante, my biggest cheerleader, the only person who had made me feel beautiful and wanted and interesting. I fell harder for him every day, but as my adoration of him grew, so did my own self-loathing. I began to fight a raging internal battle, and questioned how this captivating, intelligent, caring boy had found a home in me. I knew he was struggling, too; he distanced himself from me and our arguments became more frequent and harder to bounce back from. We were killing each other, but we clung onto the hope that things would improve, because we were both so viscerally afraid of being alone. Moments of happiness were fleeting and rare; isolation and loneliness consumed us both and eventually reached a heavy climax earlier this year. We were both terrified and so intensely devastated, but we knew that we would do irreparable damage to each other if we let this train wreck of a relationship continue on any further. I was broken, numb; life had lost its lustre and I caved in on myself. For three years, the only love I was capable of giving had been poured into another human soul. I was empty. The four months following the collapse of our relationship almost killed me. I was a shell, completely devoid of anything meaningful, ripped into a million pieces. As time marched on, unwavering and demanding, the guttural fear of abandonment that had followed me since I was a child ebbed onto acceptance, which inevitably gave way to true inner peace. I found a way to reclaim the love that had previously been reserved for him and make it my own. I remember my mother telling me on my 17th birthday that she was proud of me for finding myself in something that almost tore me from this earth. I am proud of me, too. Loving him will always be one of my greatest and most treasured achievements, but loving myself is what brought me home. WE ARE SEEKING 500-WORD WRITING SUBMISSIONS! Your life experience, insights, stories and voices matter to us, and we want to hear—and share—your story in your own words with girls across the world so they can learn from you. We are seeking submissions of 500-words (or less) pieces of writing, essays, reflections and poems on subjects that matter to you to feature in our new book ‘You Are Not Your Face’ (due for publication 2019). Your writing could include a personal story of leadership, loss, triumph, friendship, love, fear or ANYTHING where you learned something awesome about yourself or the world. Or it might be a series of TIPS, TRUTHS or mantras you use! Just write it how you’d say it! You don’t need to consider yourself a writer to be part of this. We are looking for unique global voices. Selected writing will be published as excerpts and/or in full on the girledworld website and may appear in other girledworld formats, including in the girledworld ‘You Are Not Your Face’ book (due for publication in 2019). FILL OUT FORM HERE TO ENTER YOUR SUBMISSION NOW! Laura Youngson is changing the game for the world's girls. We’re lucky to have the world-record smashing, @ted talking, global movement-starting, unstoppable force that is #LauraYoungson joining us as a @girledworld W🌏W Summit speaker (alongside Holly Ransom, Rita Arrigo @microsoft Aubrey Blanche @atlassian Anna Leibel #UniSuper Mikaela Jade @indigitalstorytelling and stacks of other female #STEM and #startup game-changers. Join us to hear Laura’s extraordinary world-shaping story on Saturday June 16 @rmituniversity Melbourne for the girledworld WOW Summit 2018. Details here. Education is at a crossroads. Summer Howarth is setting the pace. The recent #Gonski2.0 report has made it clear that #education is at a crossroads. We need new modes of #learning, new #waysofworking and fresh takes on #teaching so we equip the next #innovation generation with the thinking and #problem-solving skills they're going to need in a rapidly changing world. So we're delighted to be partnering with #EducationChangemakers across the @girledworld WOW Summit to get girls ready for the brave new world of work. Education Changemakers provides world class #innovation and #leadership training for educators, and the awesome force who is Summer Howarth (Director of Learning Design & Events and one of Australia’s most connected education influencers) will take the #girledworld Summit stage to teach girls what they need to know. Summer has expert knowledge in #design thinking, middle years schooling and environmental education through her work with Australia’s most forward-thinking schools and universities, and was named as a #PaulHarris Service to Girls Education Fellow. Summer is also the founder of #TeachMeet Sydney, the driving force behind #Educhange and serves on non-profit boards and the global educator #SDGTaskforce working on behalf of the #UN. We can't wait to learn from Summer at the Summit! In an age of fake news, let's teach girls how to read between the lines. Sushi Das joins the girledworld WOW Summit to teach girls how to read between the lines and navigate news in a world awash with content. Sushi Das is an award-winning British/Australian journalist of Indian origin who worked for The Age newspaper (1995-2016) and held various roles including news editor, feature writer, columnist, opinion editor. and state political editor. It means Sushi knows a thing or two about news. How to create it, how to shape it, and how to read between the lines. Educated and raised in London, she migrated to Australia in 1991 and began her career as a news reporter at Australian Associated Press. She was a regular columnist for SBS Online, and her work, which often focuses on race relations, culture clash and equality for women, has been recognised with two Melbourne Press Club Quill awards, including Best Columnist in 2005. Like all great journalists, Sushi also had a book in her that had to get out into the world! She published her memoir Deranged Marriage - an east-meets-west story about arranged marriage and the Indian diaspora - which has been taught as a school text at Victorian secondary schools. A strong advocate for girls’ empowerment, Sushi regularly addresses audiences at schools, conferences and other events and currently works as a freelance columnist and writing consultant, and as a researcher for RMIT ABC Fact Check. Sushi Das will join the girledworld WOW Summit 2018 on Saturday June 16, 2018. As a young girl, Mikaela Jade was instinctively drawn to the bush. She recalls running her fingers over rock carvings, curious about the people who engraved the artwork thousands of years ago. She was unaware, back then, that the carvings held important clues to her own identity. While long sensing her connections, Mikaela only learned of her Indigenous heritage when she was aged 29. She has since abandoned her career as a bush ranger and is now devoted to preserving and sharing the stories of her people and cultural heritage through #innovative technology. The mother-of-two is #Founder and CEO of Indigital Storytelling - a technology company which translates the rich history and culture of remote communities and brings it to life in #augmentedreality. Indigital Storytelling works in a similar fashion to PokemonGo - the user of the app points their phone at a symbol, object or sacred site and an animation opens up to tell its story. Join us for the girledworld W🌏W Summit to hear Mikaela’s incredibly powerful story and journey through her cultural history to trailblazing tech Founder today. girledworld WOW Summit 2018 @rmituniversity Sat June 16 + Sun June 17. A life-changing weekend of unleashing potential, career shaping and skill building for secondary school girls. LAST TICKETS ON-SALE HERE (we are nearly sold out). Holly Ransom brings her big story to the girledworld WOW Summit! It’s hard to know where to start with Holly Ransom. What we do know is there is no stopping her, and that’s really excellent news for the planet. We need powerful world shapers and thought leaders like Holly right now to show us, and the girls of the world, the way forward and a new paradigm of leadership in complex times. Holly is CEO of Emergent which works with global companies like Microsoft, Virgin, KPMG and governments globally, she brilliantly interviewed Barack Obama recently, works with Virgin force Sir Richard Branson who named her as a “dream dinner guest” and Wired Magazine’s ‘Smart List’ of future game changers to watch, was appointed by the Australian PM to Chair the G20 Youth Summit, is Director (youngest woman ever) of Port Adelaide FC, is Co-Chair of the United Nations Coalition of Young Women Entrepreneurs, is a global keynote speaker (delivered a Peace Charter to the Dalai Lama), and competes in Ironman Endurance Triathlons. Shall we stop? Let’s hope Holly doesn’t. Girls need to see what powerful young women like Holly Ransom are capable of, so they can step into their own potential and shape their own pathways. Hear Holly Ransom's extraordinary story at the girledworld W🌏W Summit 2018 at RMIT University Saturday June 16. Tickets on sale now! What no BS innovation looks like: Inside Atlassian's ShipIt 42. 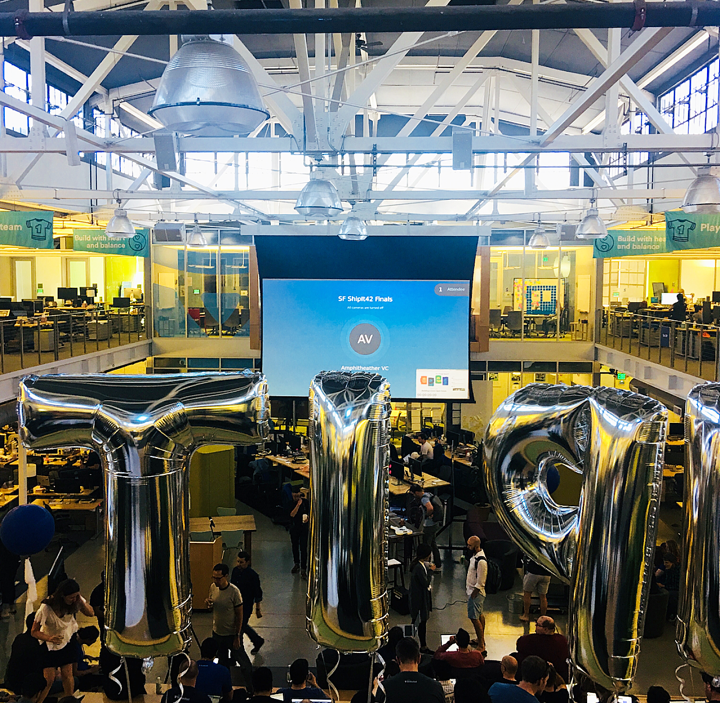 Just popped out of two amazing days inside @atlassian’s #Shipit #SanFrancisco. ShipIt gives you 24 hours to innovate. Build stuff. Simple, technical, insane. Doesn’t matter what. It’s about ideas made actual, and about teams humming. It’s kinda like 20% time. On steroids. (This happens once a quarter right across the world and 1000’s of people join in). What struck me most was the people inside Atlassian, their open ways of work, patterns of collaboration, the fluid free flow of information. These are seriously talented, authentic, passionate people working open, working fast, no BS, no power plays, with rapid cycles of communication>ideation>synthesis>focussed work>start again. This is unsurprising given Atlassian’s values-first tilt on the world. And people first approach to hiring. But the take out here is that when we talk ad nauseam about innovation, about its process and methodology and science, what we’re really talking about is the way we as REAL people best work together in teams to stand our ideas up. Simple. (As long as you’ve got the right people in the room in the first place). This #ShipIt experience has restored my faith in what great work looks like. Future ways of work are already here. At @Atlassian. No BS. Join us to build the next Gen of innovators, founders and leaders at the girledworld WOW Summit 2018 at RMIT University. We love celebrating women who are kicking goals. And Anna Leibel is kicking quite a few. Anna joined us, and hundreds of secondary school girls at the girledworld Summit at the University of Melbourne in 2017. This year she will join us to rocket-fuel girls into being Work Ready and Skill Fit at our girledworld World of Work Summit 2018! Read below for Anna's powerful story. Through small steps, big leaps, a billion interactions, a million influences, and by making a multitude of choices every single day about what's next for YOU. We are all in a constant state of ‘becoming’. And what we do know is that your life and work choices are hugely influenced by your role models - those people around you, near you, or maybe unknown but admired from afar - who show you what you could be, or teach you things along the way which can powerfully make up who you are, where you're going and how your life will shape. @girledworld we know that role models matter a lot. So we surround them with extraordinary leaders and trailblazers who share their learnings, build girls skill sets and show them the way. Jump on our website here to meet some of our mentors. Early Bird Tickets on-sale now! girledworld - Building the next Gen of female founders, leaders and STEM champions. Why we need female founders to fuel us. We know it takes a village and a hell of a lot of hard work to start up your start up, and to keep your head above water as you build it out. You can't go it alone. So you need a tribe of mentors and backers and way-pavers to bounce off as you hit walls, crest peaks and ride the troughs. If you're a female founder, you're already up against it (current stats show female-founded startups received just 2.2% of 2017’s total global venture capital funding pot while all-male teams received roughly 79% which equates to about $66.9 billion). We've got a long way to go to get ahead, let alone equal. It's why we need to keep fuelling ourselves so we can keep going, despite the numbers stacking against us. And it's why we, at girledworld, are so fortunate to have such an extraordinary community of trailblazing female founders around us, who we learn from, laugh with and who fuel our girledworld mission everyday! We couldn't do it without them. And would like to seriously, hands on heart hank all those amazing women who have helped us and hoisted us along the way. The Hacker Exchange takes students to global startup and innovation hotspots. Hooray for female empowerment! To quote the almighty Oprah in honour of International Women's Day, “a new day is on the horizon” and women are supporting each other and being heard like never before. Riding this exhilarating wave of sisterly solidarity, I thought I’d share some of the fantastic ways that women in the Australian startup and technology space are coming together to build the economy, the internet, and meaningful connections. Founded in 2011, the League is led by Sheryl Thai (also of Cupcake Central) and was created by a high-achieving squad including Sarah Riegelhuth of Wealth Enhancers and Liz Atkinson-Volpe of Project Gen Z. Polished, professional, with a dash of sass, the women of the League have conquered the Australian market with nine chapters across the country, plus the runaway success of the future-focussed ‘Run the World, Techformation’ conference. They now have their eyes firmly set on connecting women globally. Look out for their unique networking platform, Find your Five, and events throughout the year. Quote: “You are the average of the 5 people you spend the most time with”. The coolest girl in class who also happens to be a straight-A student, LMBDW was founded by two 30 under 30 (I know, I know) honorees – Jane Lu, CEO of the painfully cool fashion e-retailer Showpo, and Gen George, MD of millennial job-search platform Skilld, and double-sided marketplace platform, tamme.io. With their combined social media chops and cheeky group name, LMBDW has exploded to over 60,000 members on Facebook, spawning in-person meetups from Melbourne to London, Singapore and even Newcastle. These ladies are all about the hustle, with many members in true start-up phase or balancing their job with entrepreneurial aspirations. Think high-energy, wine-powered business speed dating, ‘sweat session’ group yoga meetups, all Snapped and live-streamed on Facebook. Insta-style: Stylised group shots, flatlay cocktail spreads, pop-culture references and plenty of fashion inspo. If you’re meeting with CEO, Sarah Moran, get ready for an injection of energy, unabashed femininity and badass-ness. Having learned to code at only 5 years old, Sarah and her team are focussed on increasing the number of women with successful STEM careers - while also showing girls it's cool to be smart. Girl Geek Academy's co-founders are a fabulous combination of Hustlers, Hipsters and Hackers located globally, and they are to here to help women of all ages build the internet. Their flagship all-women hackathon, #shehacks is complemented by #shemakesgames and #missmakescode for girls aged 5-8 years old, and they firmly believe that hacking can be fuelled by pressed juice and cupcakes, just as it can by beer and pizza. Girl Geek Academy's important work also includes supporting teachers as they educate the next generation of engineers, leaders and technologists. Insta-style: Cute as a button 7-year-olds with robots, candid, colourful hackathon shots and casually-styled afternoon teas. Quote: "If Donald Trump can run a country you can run a startup." girledworld World of Work Summit - RMIT University, June 16 + June 17 2018. Click to BOOK TIX! Oh hi, next generation. While the rest of us are pretending to be grown ups, Girledworld is squarely focused on girls aged 12-17, showing them that technology, innovation and entrepreneurship are valid career choices, teaching skills such as human centred design, VR/AR, UX and leadership. Founded by two Wade Institute alumna, Madeleine Grummett and Edwina Kolomanski, and boasting speakers such as Kelly O’Dwyer, Jess Vovers and more, Girledworld is the new EdTech kid on the block, and plans to stay that way. Check out their World of Work (WOW) Summit in June, to be held at RMIT University. Insta-style: Bold black and white, no nonsense call to arms for young girls and female leaders. Quote: "If you want to change a generation, start with girls." With first-hand experience on the barriers of being a female developer, CEO and co-founder Ally Watson is all about bringing practical tools, support and confidence to young women in technology. Code like a Girl is a social enterprise, running hands-on workshops (build your own chatbot, anyone?) and facilitating internship programs placing young technologists inside real companies to gain experience, form relationships and build confidence. Insta-style: Lego figurines, nerd-core inside jokes, an unabashed love for maths and code. If you're a female entrepreneur in Melbourne, then you've definitely heard about One Roof. 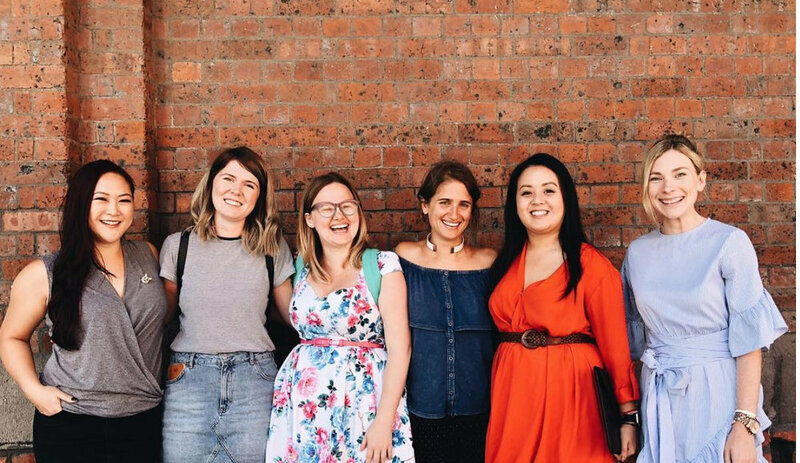 Located in Southbank and founded by ex-lawyer, mentor and community beating heart, Sheree Rubinstein, One Roof is a co-working and events space dedicated to women-led businesses. Home to over 70 businesses, and playing host to events such as pitch nights, international live streams, F*ckUp Nights and their recent Community Market, it's hard to believe that One Roof was once a pop-up concept trialled in NYC, London, Sydney and LA! Insta-style: Colourful and bright, just like the space itself, One Roof's Insta is all about celebrating community members. The stateswoman of this round-up, Business Chicks has been sparking inspiration since 2005. Founded by powerhouse, Emma Isaacs, the now-global organisation is known for their lavish keynote events, featuring rockstar speakers such as Kate Hudson, Brené Brown, Gloria Steinham and Bob Geldof. It's tailored more towards the career professional, so expect rooms full of ideas, cufflinks and networking for women who prefer not to climb the ladder alone. Their 9 to Thrive expo is also a cornerstone of any self-respecting female entrepreneur’s calendar. Bring your business cards, and have your elevator pitch down pat. Insta-style: Plenty of pink, feminist heroes, and gorgeous event pics. Quote: "We're stronger when we lift each other up." Trialblazing female powerhouses Jeanette Cheah, Ally Watson, Sarah Moran, Sheree Rubinstein and Sheryl Thai. Less of an organisation and more of a movement, Startup Vic recently started showcasing female founders with a dedicated Instagram account which asks one simple question - What’s your superpower? From Red Ballon founder, Naomi Simpson to recently-funded AgriTech entrepreneur Anastasia Volkolva (and yours truly), this account puts to shame any conference organiser who dares say “but I couldn’t find a female entrepreneur to speak on this panel”. Founded by serial entrepreneur, Jo Burston, Rare Birds is all about visibility and motivation for female entrepreneurs. #ifshecanican is the mantra, and with a speakers bureau, mentorship program, published books, podcasts and plenty of publicity, this flock is bringing the spotlight to female entrepreneurs. Created by Vic ICT 4 Women, The Click List gives journalists and event organisers immediate access to qualified and dynamic female speakers and MCs in STEAM. It's free to use and nominate (or self-nominate), and will hopefully help bring greater diversity to conference stages and voices in the media. Another initiative from Vic ICT 4 Women, Go Girl, go for IT is a careers event that aims to excite and engage female secondary school students by introducing them to the diverse world of IT. Check out their upcoming August event at Deakin University. Helping women get 'pitch ready' is a major part of the entrepreneurial lifecycle, and ELEVACO is here for it. It's a not-for-profit organisation run by NYC-based investor speaker and entrepreneur Marissa Warren, who reckons that women being only 3% of funded tech entrepreneurs is not really acceptable. Coming soon, Meggie Palmer's app is fighting to close the #genderpaygap with confidence boosting strategies and career coaching. Jump on the website and be first in line to download this pocket rocket. A monthly series in Brisbane, Sydney and Melbourne, Mentor Walks was created by Michele Garnaut and is a beautiful example of how women are changing the way we interact with leaders, by investing in connection, generosity and relationships. I've been lucky to work with many of the women in this post, but I'm sure there are more amazing organisations and people creating ways for women to connect. I'd love to hear who else you would add to the list! Co-Founder and CEO of girledworld Madeleine Grummet joins the Deakin SPARK Panel to unlock innovation, and explore the role of intrapreneurship and entrepreneurship in the new economy. Deakin SPARK Panel: girledworld, Australia Post, Pitchblak and FYA unpack innovation! Are you an entrepreneur or an intrapreneur? Do you want to start your own flourishing business, or pioneer innovative product development and marketing within a pre-existing one? At SPARK Deakin's first event of 2018, we'll hear from a diverse and incredibly experienced panel about how we can effectively adapt and innovate business today, regardless of whether we're an entrepreneur or an intrapreneur. This event will be facilitated by Deakin alumni Dean Delia, a social entrepreneur, strategist and storyteller with a passion for connecting our global community through education and inspiring others into action. A talented trainer, program developer and strategist, Dean has led national and international organisations such as ME to WE, Free the Children Australia and High Resolves and is currently GM of Programs and Events at the Foundation for Young Australians (FYA). He has founded several start ups and built relationships and partnerships across the corporate, private, and philanthropic sectors. Simon Hann, CEO of DeakinCo. Simon Hann is the CEO of DeakinCo. and has extensive experience in the online education sector. Building on the success of his own start up in the Ed-Tech space, he is focused on the innovation and commercialisation of new approaches to learning, credentialing and associated technology and is passionate about helping organisations effectively navigate the challenges of the future of work. Madeleine is a serial entrepreneur, gender advocate, keynote speaker and innovation and design thinking specialist with Telstra Labs. Co-Founder & CEO of Edtech startup GirledWorld, Founder Do Re Me Creative, Founder of Wise Women Project and with 15+ years in media and SME omnichannel strategic communications, Madeleine holds a BA (Hons), Master of Social Investment & Philanthropy, IDEO Design Thinking Certification, and recently completed a Master of Entrepreneurship. She's passionate about startups, closing the gender gap, shaking status quo and the commercialisation of innovation, providing business mentorship to female founders at the Foundation for Young Australians (FYA), 3 Day Startup, YGAP, Everwise(Atlassian & Zendesk) and more. Mathew is Co-Founder and CEO of Fulfilio the logistics tech startup seeking to shape the future of ecommerce, and part of the Australia Post Accelerator. Mathew started his career as an electrical engineer, working in Germany and Asia Pacific in renewable energy, infrastructure and mining, and has previously held roles as Head of Corporate Strategy at Australia Post and Management Consultant at Booz&Company. He is passionate about how technology and strategy can help great ideas create economic value and positive societal impact, mentoring and serving on advisory boards for a range of startups and social impact ventures. Kim is the Co-founder and Head of Ventures (previously COO) at Pitchblak, a startup education and advisory business. Previously she co-founded Neighbour Flavour, an app that allows users to buy home cooked meals from those around us. She says it was a rollercoaster ride, from Channel 7 news to raising 500k and pulling out before taking the money. She's passionate about people finding their jam whether that's by becoming the linchpin in a company or by starting a new business. Please join us Thursday March 22 to unlock your appetite for innovation, cultivate entrepreneurial skills and explore the role of the intrapreneur and entrepreneur in the innovation ecosystem. girledworld WOW Summit 2018 at RMIT. Tickets On-Sale Today!! Last year’s @girledworld Summit at the University of Melbourne was a sellout! Get in quick for this one! Group bookings available for schools and community groups. Please see here.